With sleek, confident curves inspired by nature, the Alteo faucet collection exudes a self-assured simplicity. Designed to deliver exceptional quality at an approachable price, the Alteo collection features fluid design lines that complement a wide range of decor. Fairfax faucets bring a touch of elegance and nostalgia to the bathroom. With a simple curved spout, escutcheon plate, and ergonomic, single-control lever handle, this Fairfax sink faucet offers a graceful design that fits a wide variety of bathroom configurations and styles. Refinia(R) centerset bathroom sink faucet with lever handles With soft lines inspired by nature, the Refinia faucet mimics the gentle, optimist uncurling of a sprouting plant. Elegant, yet understated, the Refinia lets homeowners celebrate the beauty and fluidity of organic forms - while also showing their appreciation for smart functionality. 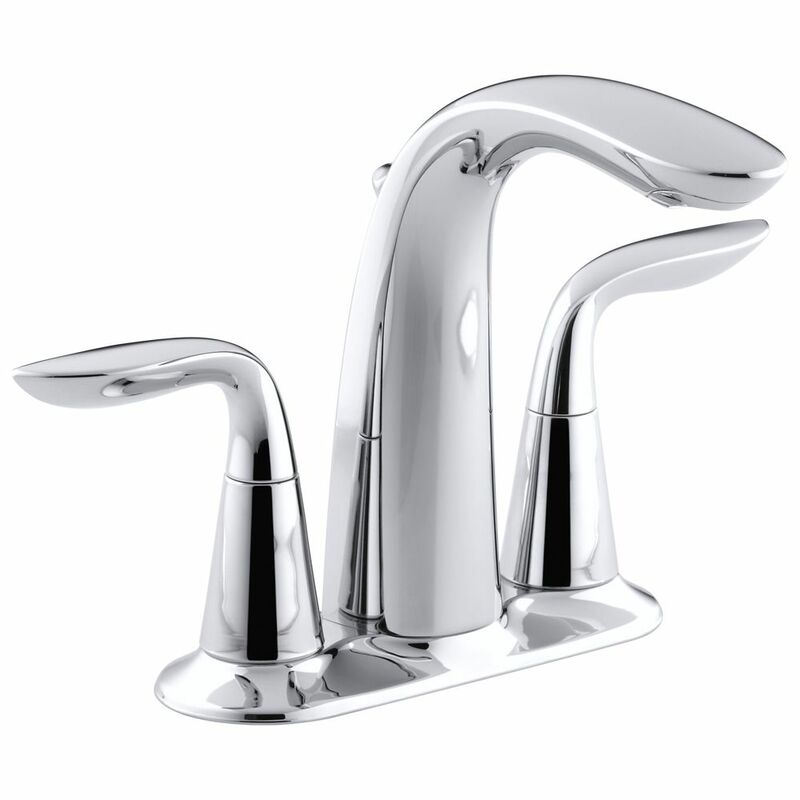 Refinia(R) centerset bathroom sink faucet with lever handles is rated 5.0 out of 5 by 4. Rated 5 out of 5 by HomeDepotCustomer from Love the faucet! Handles work smoothly and easy to install. Love the faucet! Handles work smoothly and easy to install. Rated 5 out of 5 by gratefuldaughter from Great solid faucet. Bought 2 of these faucets at Homedepot.com during the Black Friday sale. Feel like I struck gold. They both were easy installs in fact they come partially assembled. Only thing that was unexpected was the reduction of water pressure. They are advertised as ecofriendly and they are. If you like strong forceful water from your faucet...you may not like these. I think the water pressure is perfect because it counters balances the height of the spout and keeps the water in the sink. The fixture is also easy to clean. Rated 5 out of 5 by JMBB from Refina Faucet Love the faucet. Good brand. Nice that the hose came with them.